The Chequers Inn, formally the Hurst, on Loughborough Road in Quorn, used to be a lively venue in the 1980s. 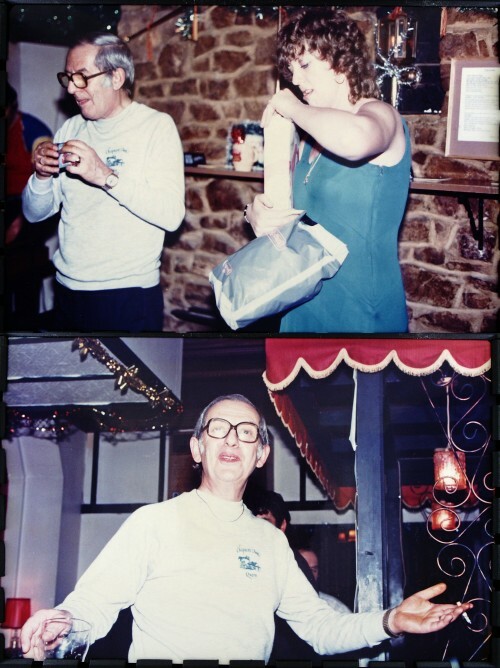 These photographs of the landlord and landlady, Gordon & Rose Underwood, were contributed by Brian Shuttlewood, who used to do a show there every Friday night. Brian remembers that Gordon was a Sgt Pilot in WW11 and trained in Canada before joining a Lancaster squadron. After leaving the Chequers he opened a café by the railway bridge in Barrow on Soar and from there moved to the Quorn Conservative Club. Missing information: Have you got any more photographs of the Chequers?